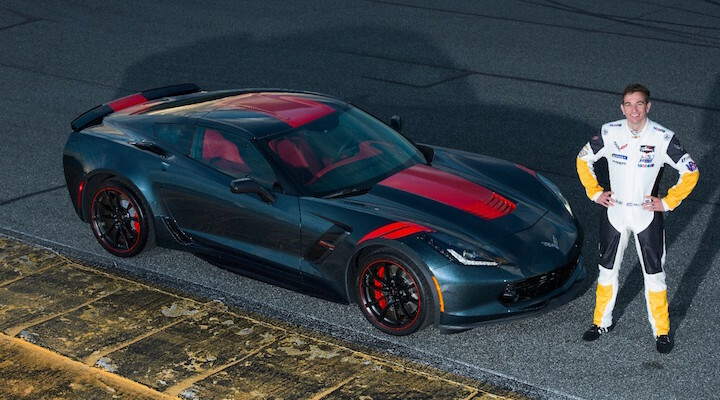 General Motors has debuted the new 2019 Chevrolet Corvette Grand Sport Drivers Series, a limited edition run of Corvettes that have been designed in partnership with the Corvette Racing’s four race-winning drivers. 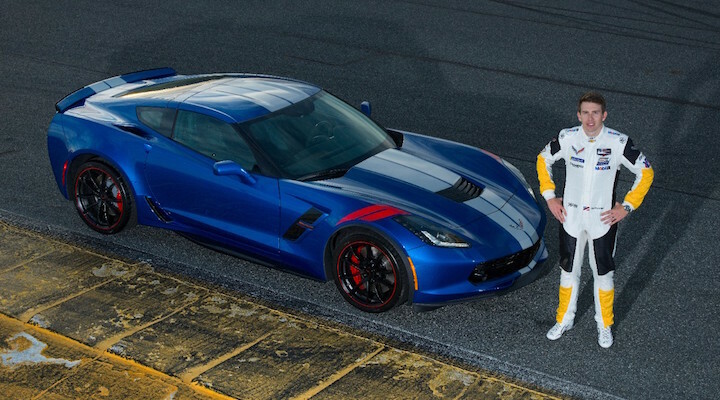 Each of the Corvette Grand Sport Drivers Series has its own a specific exterior color and graphics package selected by Tommy Milner, Oliver Gavin, Jan Magnussen and Antonio Garcia, who pilot the two Chevy Corvette C7.R race cars in the IMSA WeatherTech Sportscar Championship and FIA World Endurance Championship. They are based on the standard Corvette Grand Sport and have cosmetic upgrades only. First there’s the Tommy Milner Edition, which features an Elkhart Lake Blue body with silver stripes and red hash marks, along with body-color mirrors, black wheels with a red accent stripe and red brake calipers. The interior features Jet Black Suede upholstery with red seat belts. Ollie Gavin’s car features a Shadow Gray exterior with a Torch Red center stripe and matching Torch Red hash marks. There’s also Carbon Flash mirrors, black wheels with a red accent stripe and red brake calipers. The interior is finished in bright Adrenaline Red upholstery and features matching red seat belts. Danish racing driver Jan Magnussen’s car matching his country’s home flag with an Arctic White body with rystal Red stripes and gray hash marks, body-color mirrors, black wheels with a red accent stripe and red brake calipers. The interior matches the exterior with Jet Black upholstery, red seat belts and red stitching on 3LT trim models. 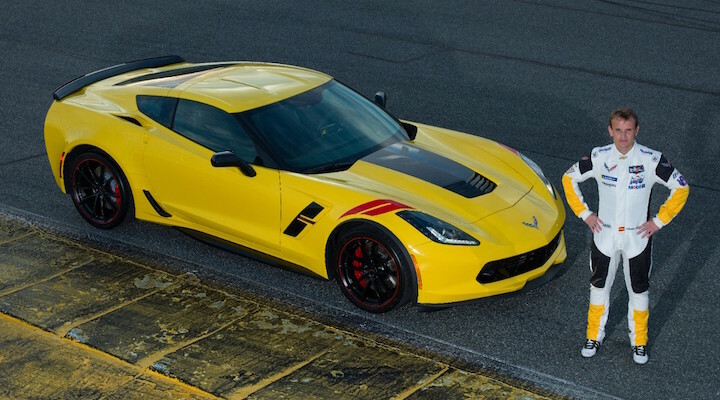 Finally there’s the Antonio Garcia Edition, which has a Racing Yellow exterior with a ‘Jake’ skull stinger stripe and red hash marks – reflecting his Spanish heritage. It also has carbon flash mirrors, black wheels with red stripes, red brake calipers and a Jet Black interior with yellow stitching on 3LT trim models. 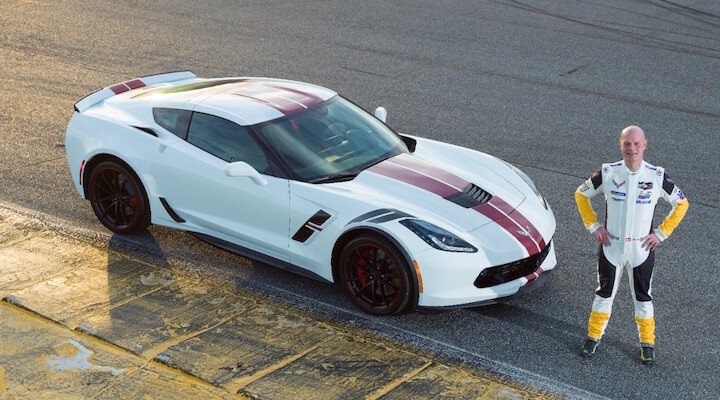 The 2019 Corvette Drivers Series trim pacakages are available on 1LT, 2LT and 3LT trims for the C7 Corvette Grand Sport. They add $4,995 to the sticker price of 1LT and 2LT trims and $5,995 to the bottomline of 3LT trims. Customers can begin placing their orders this spring. Why didn’t they have the drivers get with the engineers out on the track and tune the MR shock, e different and electronic steering settings for their taste, could have bundled it as an additional setting without changing the driving characteristics of the car. Just a little something so it’s not just another graphics edition car. All overdone and cheap looking. My Admiral blue GS with red fender stripes was plenty for me.